Among the main standing activities, the Foundation manages a permanent comprehensive collection of around eighty of Sergio Vacchi’s works. From the 1st October to the 30th April the collection can be visited by previous appointment. The Foundation’s exhibition centre is located at the Grotti Castle. The Foundation also carries out authentications of Sergio Vacchi’s paintings. It is possible to consult the whole bibliography about Sergio Vacchi and other books and catalogues of contemporary art. 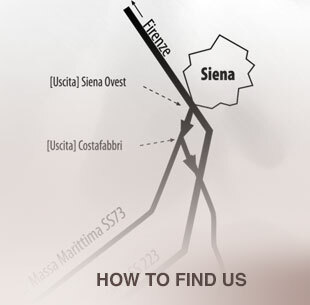 The Vacchi Foundation is connected with the school qualifying in Archeology and History of Arts at the University of Siena and with the Arts Institutes in Siena and the surrounding area. The Foundation also co-operates with the Academy for Fine Arts, Tuscany Region, Monteroni d’Arbia and Cesena municipalities and the Boca Raton Museum in Miami.